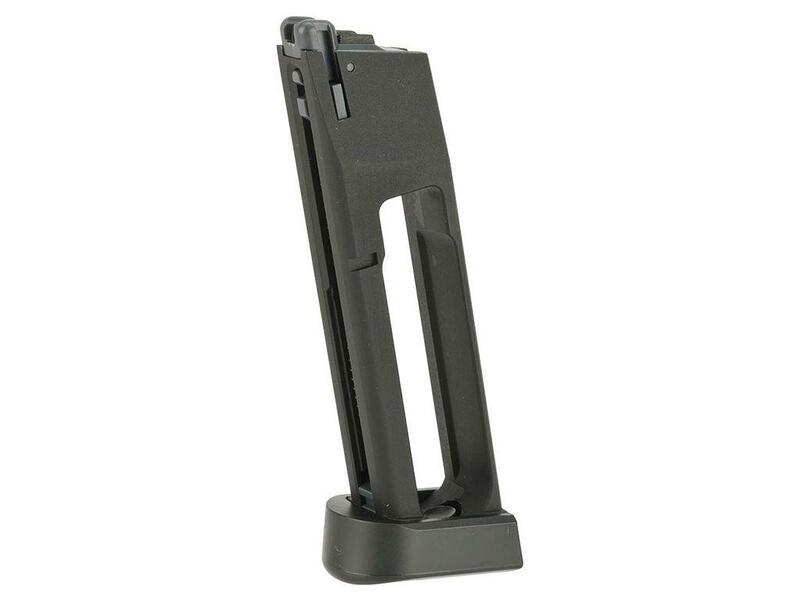 ASG X9 Classic 16rd BB Gun Magazine | ReplicaAirguns.ca | New Website! Comments: The ASG X9 Classic BB Magazine mirrors the quality of the gun it is designed for. With solid full metal construction and a 16-round capacity, this CO2 mag can withstand tough use. Keep it in your pack for when you need extra firepower. Compatible with the ASG X9 8" CO2 Steel BB Pistol.